I was owner of one of Training institute in Nagpur (India) named “Shivasoft” for almost 3 years. This is the reason few of you know me as a “Shivasoft”, some of you know me by my previous twitter handler “@ilovenagpur” as well. I was lucky enough that I had many bright and hard working students. They were kind enough to share lots of stuff happening around and other problems. One of the major issue is getting job after graduation and even harder problem is when students does not get selected in “campus recruitment” drive. Freshers needs job and employer needs experience, if you are not coming from campus, this is catch 22 situation. As fresh graduates doesn’t get a job , they either go with MBA (MBA is prestigious course but CAT ranking plays a huge role), advance programming courses like SAP or Oracle by paying hefty amounts , post graduation in IT itself, BPO jobs or some other profession. This post is solely my opinion where I think, you could overcome this situation. However please do not consider this as a base, take a judgement of your own. Click here for free Salesforce career eBook containing salary and other important information. I would not say its only Salesforce but also its strong and diversified community. Thousands of professionals are there to help and guide globally. You would get a great platform to show your talent, hard work and involvement. Once you get an attention, many recruiters will approach you. Sagar Pareek is shining example of what I am going to discuss. He got involved in Salesforce community during college days, travelled hundreds of miles to attend Salesforce developer group meet and author of two Salesforce books. He was also highlighted directly by Salesforce in one of their Webinar. Not a single penny, in fact you may earn in process of getting job. Don’t worry, its not advertisement or I will not be getting paid directly or indirectly by anyone on suggestions. All it takes is dedication, hard work and belief in your self. And more than everything , your “Patience”. Patience is bitter, but its fruit is sweet. You might get frustrated that your friends are getting job and earning good salary. Believe on your self, keep searching jobs and try below game plan. In my opinion, joining classes to learn Salesforce is not going to help you. Employers doesn’t give a damn about which courses you have completed, coaching classes “Certificate of Completion” are worthless. Get familiar with any OOP language and its concept (Preferably Java). Now, next step is to join “Topcoder” community. Topcoder community is one of known platform to work on Salesforce projects. Project will be posted in Topcoder and members can submit their solution. If your solution is selected then will be awarded by amount in dollars. Before winning your first project, you may need to compete for many projects without winning however you will be learning during that time. Don’t think its hoax, read it yourself. My friend and Salesforce MVP Kartik is also very well known and winner of multiple submissions. I am not saying its piece of cake but not impossible. Your aim is not winning but learning. Initially for freshers it is very tough but you can see code of other submitters and learn from them if you are not able to come up with solution. Visit Stackexchange, Salesforce community and developer forum daily and try to answer questions. If you don’t know answer then learn from other’s answer. You would be amazed by speed and detail of answers by contributors. Its like getting premium support service free of cost. If you can try to keep monitoring #askforce hashtag in twitter. You can help and get answer from here as well. There is IRC channel available as well if you want to use it. There are weekly, fortnightly and monthly meetings in User groups and Developer groups globally. Try to find nearest one and start collaborating and contributing if possible. Earning points and status by answering questions on developer forum, stack-exchange and completing trailhead badges you can measure yourself daily or weekly basis. More you work, more points, respect and visibility will be earned. 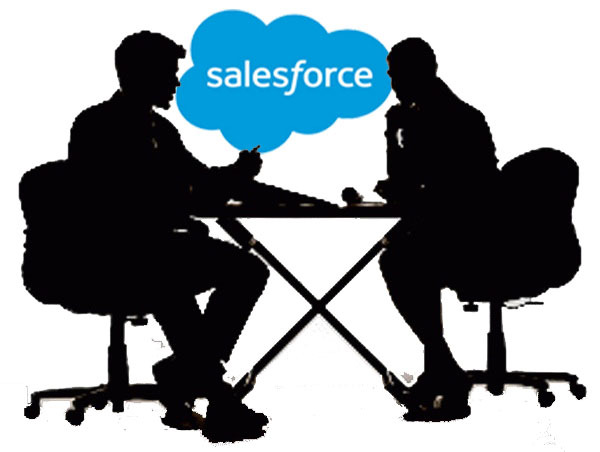 Once you get enough experience and expertise in Salesforce, go for Salesforce Certifications. Start with Admin and then Developer certification. Once you are known in community, put reference of your Stack exchange, developer forum. trailhead public profiles, developer or user group name where you are member and contributor. “There is no shortcut to success”. It’s not very easy but certainly good shot to try. If you already have a programming background then it would take around 7-8 months or 9-10 months without any prior programming knowledge. Let me know your thoughts and experience !!! Excellent post… 🙂 Thanks, you increase my confidence. Great. Its really motivate me. I just hope Fresh Passouts who are finding issues in finding a good job read this. I remember we never got this kind of guidance at our time. Excellent post sir. i am a fresher i have finished Developer and Admin training in SFDC. i am looking for a job in SFDC but most companies are wanted Experience candidates..
excellent post!! everything written in this post is cent percent true. Very nice post. Precise and useful information presented in a compact way! Helps. I’m an MBA in (marketing & operations) should I opt for Salesforce course! I dnt have any IT background. I am new to Salesforce and I want to peruse my career in SFDC and planning to study by my own, Plz tell me which is the best way to find the material for study. thanks!! It will hard for me? it will Good for my career??? Plss i need your help n suggestions. hi, I am Channy, a software Engineering student from Cambodia. I am assigned to find out the criteria at which a fresh graduated student can have to be a saleforce developer. May you share your opinion, in order for the fresh graduated university student to be a saleforce developer, what criteria should he or she has? hi , I am prashant the answers to questions asked in the salesforce community forums are very difficult to answer as they are tough so how to give answers there ? Great post. This piece of content will help the freshers. I am also a newbee in this field and planning to build my career as a Salesforce Implementation Partners. Kindly help me out with some great suggestions. I got a lot of hope reading this post. I work in a top MNC on legacy technologies, and want to start my career in Salesforce. I had no idea how or where to start, but this post has shown me the right direction. Thank you so much.